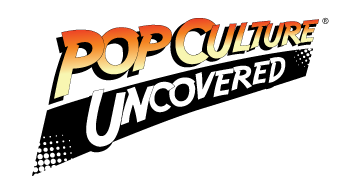 But to call this story “meta” would be to impose too heavy a sophistication on the innocent world of Archie Andrews. I don’t think Tom DeFalco is going for anything close to a Morrisonian level of self-analysis. He’s simply having fun with the numerical milestone of this issue and working it into what’s otherwise a very standard story: Archie is facing expulsion from school, and his friends and family come up with a very obvious and yet appropriate means of solving the problem. There are no major surprises here, nor deaths, nor twist endings. It’s just a straightforward teenage hijink story that accomplishes what every Archie comic in recent memory has done, while still obviously commemorating the end of a very old publication. Appropriately, the book is equally divided among the four main Archie artists, though each draws the company’s “house” style so well that I really couldn’t distinguish their art without the credits. Although nothing particularly “important” happens in this issue, casual readers may want to try this book just for its historical significance. This is—at least for now—the end of “classic” Archie before we get Mark Waid/Fiona Staples reboot later this month. 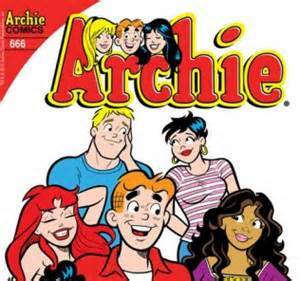 “House” Archie will still be around in the digests, the Betty & Veronica book, and in special projects like Archie vs. Sharknado and Archie vs. Predator (another book which needs to be read for its own sake). Still, it’s been apparent that Archie as a publisher has been slowly reinventing itself over the last decade, seeking that balance between “classic” and “newsworthy.” Archie #666 celebrates the classic side of that equation and is a very worthy example of what makes a good comic.